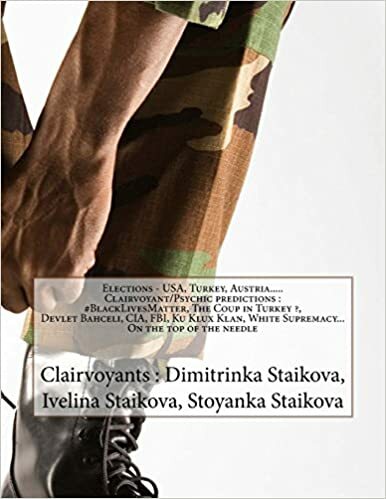 Chapter 1-Secrets of the leaders of the most wanted terroristic organizations-Al-Qaida,Boko Haram,As-Shabab and others.Skype clairvoyant mrs.Dimitrinka Staikova is talking about their life,bussines,diseases,children,their current location or how they will be captured or killed. 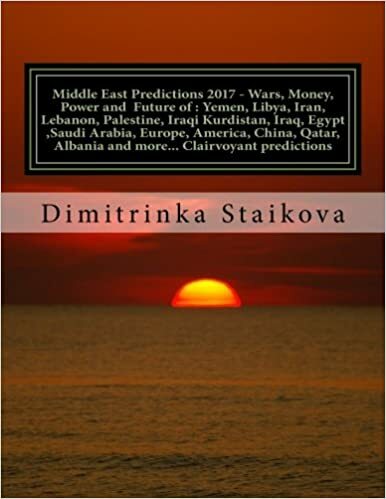 CHAPTER TWO-MORE MIDDLE EAST PREDICTIONS-About the future of Syria 2014,more about the new president of Iran Hassan Rouhani,clairvoyant profile of the ayatollah of Iran Ali Khamenei.Clairvoyant profiles of the president of Syria-Bashar Assad for year 2013 and more psychic news. 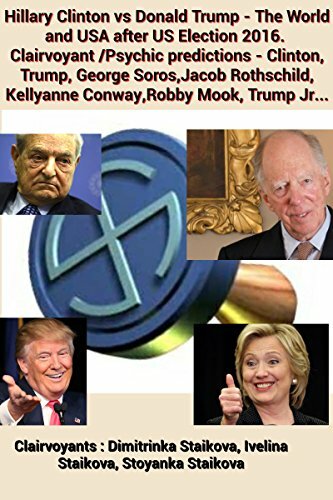 This is a man first from three leaders.Here in this group i dont see ideals but only fight for money and bussines.The winnining of money comes from earth treasures.The bussines is divided to two parts-terrorism and legal bussines.He is working with the Intelligence of most of the countries. He is unsatisfied from the life.He doesnt accept and he dont have family behind his back on his fault.He has buried the people he loves most and his relatives. systematic,little crafty.His weak place is that he doesnt miss revenge.If he must do it its a matter of brief time.His thought is running on small sentences.He is tough to the other people.He sucseed in his actions with luck.Other weak place are the money and the bussines on the territory of eight (8) countries + 1 his country.He is part of religious society,where the leaders are five(5) people and the bussines with oil and gas.He will be killed by his people in his back when he is invited for a meeting with Supreme Leader of a country.He wont be captured alive.He is travveling a lot and this is causing his diseases-inheritance high blood pressure.I see wound and pain in all parts of his left leg.His serious disease is the prostate.The pain in his right knee is from kidneys and teeth.When he gets old he will limp with his left leg. Part of Libya is like his second home-he will be attacked in Libya.He is visiting Jordan-good relationships.In Sudan he is organized war.He is receiving help from Saudi Arabia. Now he is hiding in temple-mosque. Extremely religious.Born to be leader,he likes to talk and he is using very good the words. He can be captured,because he is having perseverance in his character .He is having problems only with temper and cruelty. Family-I see two women young and old.I dont see him leaving alive sons. He is unassuming,very mobile and he will be hiding everywhere. Main shelter-industrial buildings sorted together in front of them there is a railway line.Close to them -very close airport ,very windy airport in his country. Extremely hate to USA.Most of his attacks are connected with airports. When i view its health condition i find often inflammation of his right ear,throath,right lung,pancreas.Because of his problems with the right lung he is taking medicines-white powder.I see also pain in the bones. He is hiding very often in underground shelters and that is the reason for his pain in the spine.His left kidney and the drainage of the joints will continue. He may leave the country but not for long-this is a man of the habit.He is returning often to his favourite places.The one of them is little bridge with river.About him his country and the land as place for hiding are important.There are people who are taking care for him-9 or 10 people. The connection with him is with seven people. He can be captured on National Holiday-he is always showing him self and he is staying near children.-untill the month of March. 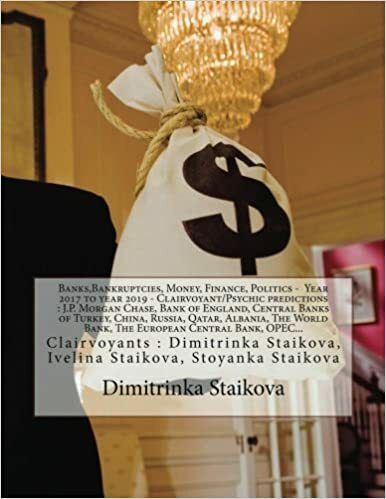 Mokhtar Belmokhtar- leader and the founder of the Signed-in-Blood Battalion”-Now he is planning a new attack!-30.11.2013,11 am-CLAIRVOYANT PROFILE made from Dimitrinka Staikova,skype clairvoyant from Europe,Bulgaria,Varna -from the site Reward for Justice of the Us States Department. Leader from a lower level at this stage.He is working for the Central Intelligence of his country and thats why he is lucky.Soon after The video i watched on you tube for him is made -19.01.2013 he is travelling outside the borders of his country.He is passing through three countries.He accept that his country is in war.Born soldier, ascetic,who will reach rise-work position in the government of his country after that he will fall and will be forgoten. Health-from a child problems with sinusitis and throat,problems in solar plexus and gas in the stomach.Hardy.Genetically he will have problems with kidneys and heart because of throat.The problem with eyes is leading to problems with heart and the head.He is uncontrollable.He is doing what he wants and when he wants.For him everything is subject to rules.With him you must talk to do something,you must convince him.He is attacking only when he is convinced that it is right.If you want sucsess convince him through internet.The rules are above the money for him.Its not difficult to be captured-he is a man of the habit,his character is tough and persistent.His followers worship him,he receive help from his country intelligence,you must negotiate and he will be in your hands.Before he receive an invitation from the Authorities,he will be betrayed from a woman with dark face.If he survive from this he will live longer.Although the travvels he is in Algeria close to the border – i see trees,wood,house.Now he is planning a new attack.This profile is not complete. Mokhtar Belmokhtar- leader and the founder of the Signed-in-Blood Battalion”-Now he is planning a new attack!-30.11.2013,11 am-CLAIRVOYANT PROFILE made from Dimitrinka Staikova,skype clairvoyant from Europe,Bulgaria,Varna -from the site for Justice of the Us States Department. I connect this man with two big destructions of tall buildings from car bombs and airplane. 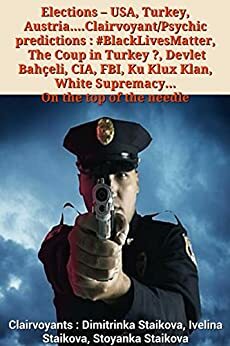 He has put the Centrall intelligence behind his back and now he is working for a group. faithful people-8 people.He is thinking only about war and jihad.Religious. His family is five people.He has a wife,daughter.After the photo is made his wife was pregnant. The family is living near the capital.Near water-boats.The house is big ,made of stones. Traveling east-west-house-a base for terrorist activity.The terrain is resort.I see big stone houses. He has begun from that house.In its vault i see a lot of weapons. He does not hide his self.He is living mainly with his family and relatives. The man is sick.Problems in the stomach.I see medical operations on his thyroid and problems in the stomach,taking of strong drugs.His desease is from absorbed poison .Soon -serious desease of the stomach and pancreas.He will be captured in house or infront of the house near his house,when he is visiting his house.Loving father. He is owning a lot of hereditary diseases.If one year are spayed chemical fertilizers in the air he will cure all his glands.He already has sick eyes,throat and ears.Three women in three houses in his life-in his life will stay 2 women and five children.He is not interrested from women.He is not exacting to life and possessions-he likes friendship and loyalty.He is killing fast-he is not cruel-he is making his plans very precisely.Due to kidneys-forget fast.A lot of scars on its face will stay.He loves his mother a lot ,but he will be alone -without parents. Abu Du’a-the first two children-they are bigger-will live abroad.His third child will inherite him.From the others could be taken DNA for checking.The other kids of two women will be found difficult and in the far future.He is born sailor,but he will travel mainly on air and land a lot.He loves fast cars and fast movement. I see a place with the letter “M”:He will be captured with a trap with religious person near Syria- karmic bad number -23. Two medical operation ahead-in a ROOM where a doctor is treating.These are the two places where you can capture him.There will be actions against him,but his friends will hide him.. The third moment is meeting on a table with people from the authority(people with power). 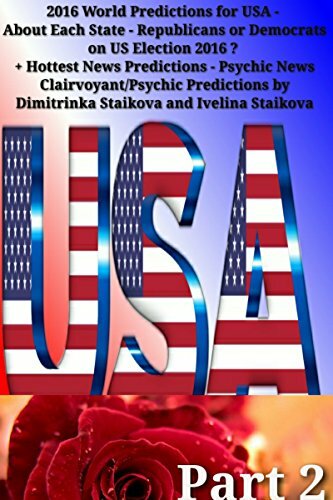 Mullah Omar-His base is in the mountains situated near old diamond mine-Mullah Omar:Clairvoyant profile made from skype clairvoyant mrs.Dimitrinka Staikova-Europe,Bulgaria,Varna citty. mullah Omar-We are talking only for money,road,and end of the road.Everything has begun from a sacred grave and loss of person close to Mullah Omar.He has a primary hate to civil servants.He is very patient.He does not build up,he builds down.Generally,there are tree people -leader. He is connected with room(premises) which is jail(prison).Big Prison with which he is having common bussines. As generally his health condition is-Except what can be seen on the photos,problems with teeth,bones,urethra. Soon-paralysis of his left hand and strong pain in his right hand.Problems in the heart as constriction.The pains will be very strong in his teeth and his right hand.In the future-the problems with kidneys and urethra will be very painful.In the future he will have medical operations in the eyes and kidneys.He has intolerance to chemicals and allergies. When he was young he had a family-Now he is alone. He will leave young boy-his son,who is aside from Mullah Omar. He has big help from the former republics of the Soviet Union.There -he will have medical operations. There will be a chanse Mullah Omar to be captured in a citty in Pakistan when he is negotiating weapons. I see a man with the letter “O” to connect him.Then i see Mullah Omar in a car,running away.I see fire from the air. The base of Mullah Omar is situated in the mountains near old diamond mine. 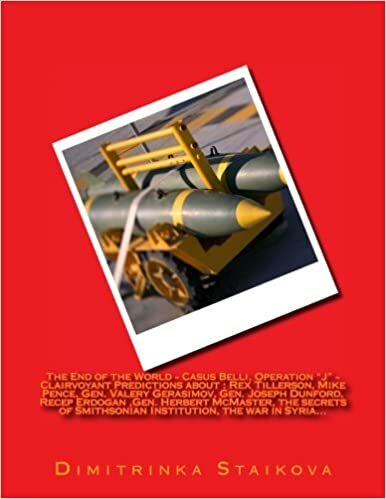 tags-mullah omar,taliban,taliban regime,afghanistan,osama bin laden,al-qaida,september 11,terrorists,world predictons. 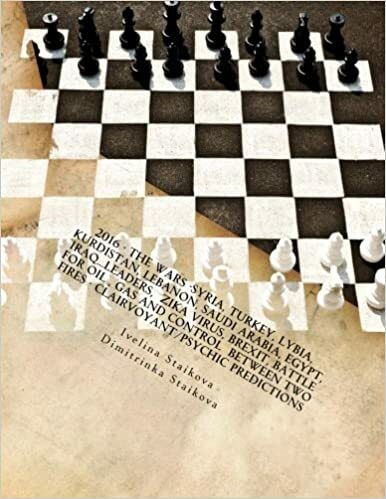 HAFIZ MOHHAMAD SAEED-Where he is hiding?-23.01.2014,9am-HOTTEST NEWS PREDICTIONS ,author skype clairvoyant mrs.Dimitrinka Staikova from Europe,Bulgaria,Varna. (The photo used for the making of this clairvoyant prediction-profile is from web site http://www.rewardsforjustice.net). Possibility for localization through technics.This man is constantly eavesdropped.Around him is full with technics.He has two trusted people,the second one is connected with USA and energy.Again he will travel to a city.Mainly in a big city. He is suffering from weak irrigation of hands and legs.Sensitive liver.Swellings on his body.He is born to be a leader,with strong spirit,but weak physically-fast and clever thought.He is hiding in big houses.You didnt wanted,you didnt capture him. He will be betrayed by medic,because of:breathing,heart and obstruction in the blood system. This man can and he is writing textbooks for terrorism.He is used for councellor ,advisor even from the present statesmen. Hafiz Mohhamad Saeed is holding information for many people through eavesdropping,that is the reason he is difficult for capturing. Yasin al-Suri – A man burdened with a lot of life problems.He believes in God and he beleves in Computers.He will have difficulties(problems) connected with life with a woman,her pregnancy and in the future problems with child growth. He is trained for killing-he likes obedience and if he become separated frm his world of killing-he will become unprotected.He trusts only to elder man -relative.He does missions abroad-mainly in Turkey-because oil and gas-Blasting of Cars. He is living in a big(Huge) house-tween.Two big buildings that looks the same,one by one situated in fron t of the Square,near bank.The buildings are connected with dungeons. Left without close to him people to whom he can trust and count on.He is using the oil and the natural gas to earn money.He is sytematic-he likes the order,lonely person.Weak spot-falling in love-several times.Children-one son will stay alive,mainly daughters.He will observe them from away.On God’s wish born to be a leader,but he is used in the kitchen of the terrorists.He will need accidentally to study legal studies.Till now-problems with the spine-right leg.Its developing a disease and in the future his both legs will suffer.He is very often sick from sinusitis and inflammation of breathing channels.Problems with teeth-from the left side. “HE WILL BE HURT AND ABANDONED IN A BATTLE”.Now his location is terroristic camp between hills and forest and stones near the border of Kuwait. 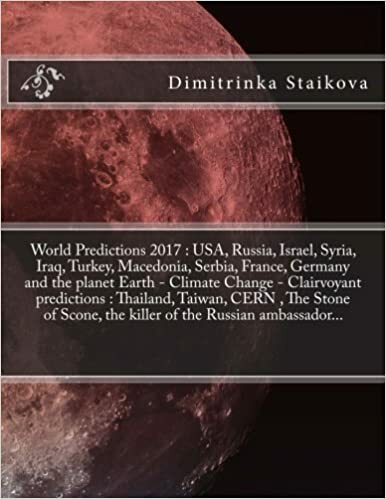 part one 24.10.2013,2 pm.Predictions for year 2014 about the future of Syria,part 1-HOTTEST NEWS PREDICTIONS,Author Skype clairvoyant Dimitrinka Staikova from Europe,Bulgaria,Varna,contact on skype dika.staikova http://sites.google.com/site/dimitrinkastaikova The paid information is detailed! april are coming the good news for syria.their leader will have royal blood.
. Expect soon part two of the prediction…. 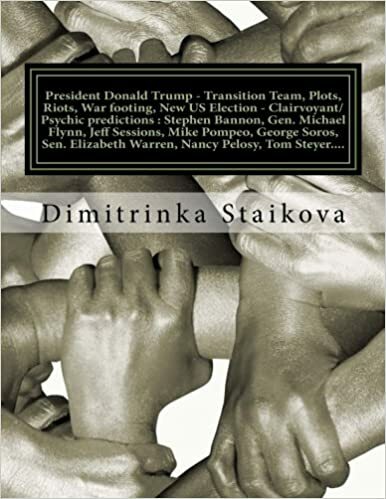 24.10.2013,2 pm.Predictions for year 2014 about the future of Syria,part 1-HOTTEST NEWS PREDICTIONS,Author Skype clairvoyant Dimitrinka Staikova from Europe,Bulgaria,Varna,contact on skype dika.staikova http://sites.google.com/site/dimitrinkastaikova The paid information is detailed! article from date 05.10.2013-frontpagemag Advantage of War it Started to Sneak Up on Syrian OilWhile the Syrian regime is focused on quelling rebels, its neighbor Turkey is taking advantage of the situation by drilling for oil near the border, Hurriyet Daily reported Tuesday. The Turkish company energy company Arp Petrol obtained a four-year exploration license from the Turkish Energy Ministry to explore a 400-square-meter area in Sirnak and Mardin in the southeast region near Syria. “There are many active wells across the [Syrian] border. Why shouldn’t we be here? We think that the oil was originated in Syria and immigrated to Turkey. We are working on the oil producer zone’s extension in Turkey. We are chasing the oil and natural gas extension of Syria,” Şehmus Arslan, the chairman of AR Tarım, said. Ah, oil immigration. Considering the story of the Republic of Hatay, it wouldn’t exactly be the first time that Turkey sneakily found a way to get a piece of Syrian land. Clairvoyant profile of Abdullah bin Abdulaziz Al Saud-king of Saudi Arabia-made from skype clairvoyant Dimitrinka Staikova,Europe,Bulgaria ,Varna-19.10.2013.Date of the photo used for the profile-08.10.2013.THE PAID INFORMATION IS DETAILED! A king putting the begining of a Great Empire-Saudi Arabia.The king is having flair,instinct,or the so called third eye. In this moment is having flu which is causing the bones-left hand,spine,throat,right lung.As a main disease are the urinary tracts, prostate,left kidney.The problems with breathing will continue seven days more. The king will place the foundation of father of the Arabia nation.There is more time for life for him,but the hard times for Saudi Arabia will come after his death-for brief time.His dynasty will be threatened. Now-till the end of October-internal problems with the nation.Untill the middle of November-probleMs with the price of goods-export of white goods.A brief compromise for the oil in the end of November.Before the end of year 2013 -prise shock in Saudi Arabia.I think that king Abdullah of Saudi Arabia is wise,great,very cruel and he is having clairvoyant thinking for the future. 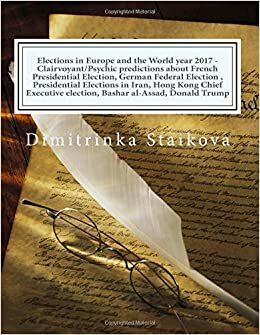 Israel-Iran through the look of Ayatollah Ali Khamenei-HOTTEST NEWS PREDICTIONS FROM SKYPE CLAIRVOYANT DIMITRINKA STAIKOVA AND Daughters,EUROPE,BULGARIA,VARNA-02.10.2013,contact on skype-dika.staikova. ISRAEL-IRAN ALI KHAMENEI AYATOLLAH OF IRAN Serious diseases in the head-right eye, pituitary, sinusit channels.Affected airways,throat,left shoulder,the fingers of the hands and the legs,right knee,left lung. From medicines-often urination and pains in the stomach. What i see is one step before the death.This is miracle that this man is still alive.The disease has affect very strong his bone system.But the cysts in the pituitary are very serious. This diagnosis is made from watched by the clairvoyant Staikova you tube video with ALI KHAMENEI from 22.07.2013.His diseases are incurable.In the eyes he will be blind. As long as the Ayatollah is alive it will be made no understanding with USA. It is started the beggining to the destroying of the opposition in Syria.Military actions mainly with tanks. Soon the civvil war in Syria will finish.The opposition will be destroyed.NO NEGOTIATIONS! The detailed information is paid! Success on the world scene.The success is for two,and the leadership is for two. Threat about the countries against Syria with shooting of bombs.There is a weapon which is shooting 8-9 times at once.The delay is because of shooting in the space.He needs 1 year. In this moment there are working on energy in The Space.They are about to finish untill 1 month and days. The development is going well,althought the small defects. THE PAID INFORMATION IS DETAILED. About Bashar Assad the moment is for shooting. The connection with Russia and China.Now China is going to distance.The connection with Russia-i hear music,i see music(notes). Time for shooting and clearing of the rebels-1mounth +1 day. Time for the chemical weapons-1 year. 20 percent will rest non controlled. The money are coming from Russia through (with) music. Funeral ceremony and funeral of Ariel Sharon.Possibility for second assault against president Obama. Sorrow for the nation of Israel.I see 2+4 GREAT LEADERS ARE STANDING INFRONT OF THE COFFIN OF ARIEL SHAROn.The first from the four people is thinking about the future of Israel-as a non separated territory.In the future will has very difficult unification(integration) of the two religious parts of Israel.In the future from the four people standing near the coffin showing last respects to stay one -the first. I SEE FIRE COMING BEGIND A HILL OR Altitude,then i see second fire.On that day i see total three people INFRONT OF GOD. POSSIBILITY FOR SECOND ASSAULT AGAINST PRESIDENT OBAMA. Palestinians fire 2 rockets at near site of former prime minister’s burial ceremony at Negev ranch; no injuries, damage reported. http://www.jpost.com/Defense/Gaza-rockets-fired-on-southern-Israel-shortly-after-Ariel-Sharons-funeral-338024http://www.jpost.com/Defense/Gaza-rockets-fired-on-southern-Israel-shortly-after-Ariel-Sharons-funeral-338024 The Israel Air Force struck two targets in Gaza on Monday evening in response to rocket fire on southern Israel earlier in the day. The rockets, which landed in fields in the Sha’ar Hanegev Regional Council, came shortly after the completion of the funeral service for former prime minister Ariel Sharon in the nearby Sycamore Ranch. The IDF said the targets the IAF hit were a military compound and a terror infrastructure site, adding that both strikes hit their targets accurately.